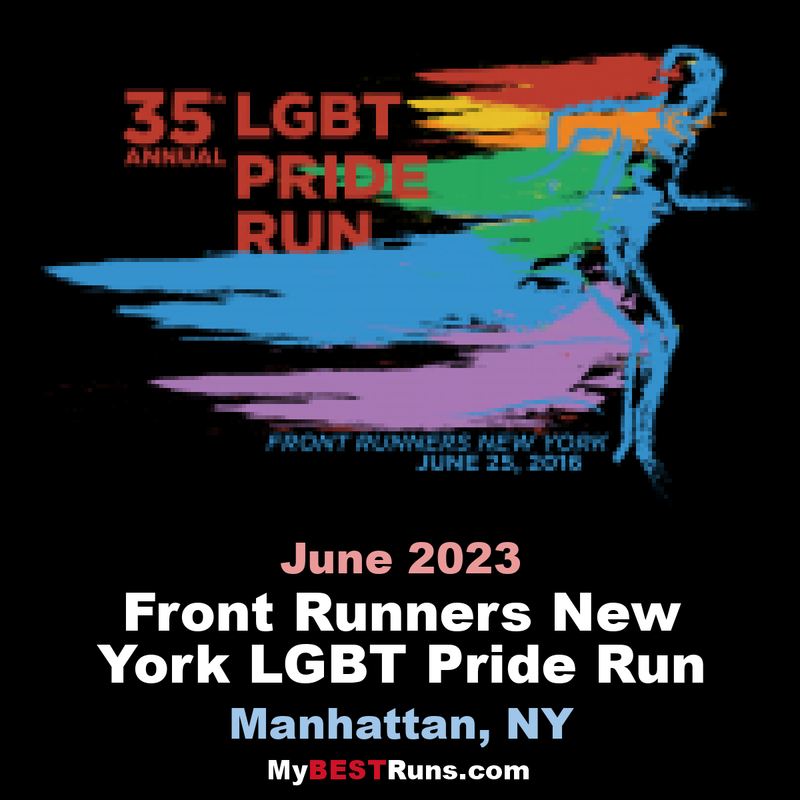 The annual Front Runners New York LGBT Pride Run is a 5 mile race in Central Park that will draw in more than 5,000 runners and thousands of fans from across the country. This event, organized by Front Runners New York (FRNY) in collaboration with New York Road Runners, is an official qualifier for the TCS New York City Marathonand donates a portion of proceeds to a charity beneficiary. This year, a portion of the proceeds benefits GLSEN, INC- the Gay, Lesbian and Straight Education Network. GLSEN strives to assure that every member of every school community is valued and respected, regardless of sexual orientation and/or gender identity or expression. GLSEN believes that such an atmosphere promotes and solidifies a positive sense of self, which is the basis of educational achievement and personal growth. 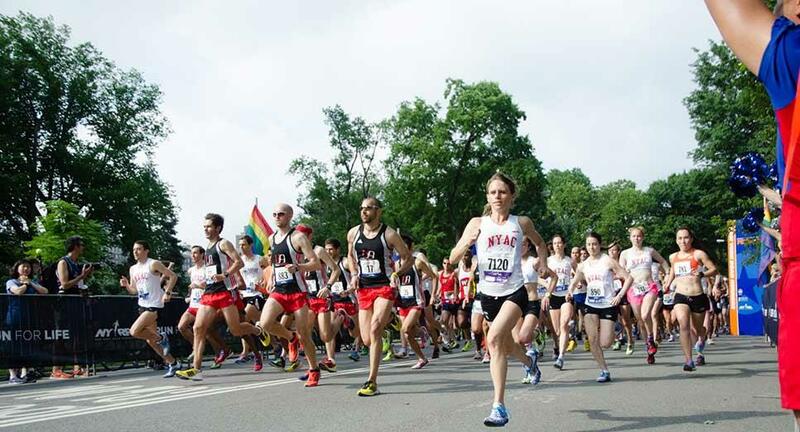 One day before NYC’s historic LGBTQ Pride March makes its way through Manhattan, more than 3,600 runners took on five miles in Central Park at the Front Runners New York LGBT Pride Run. 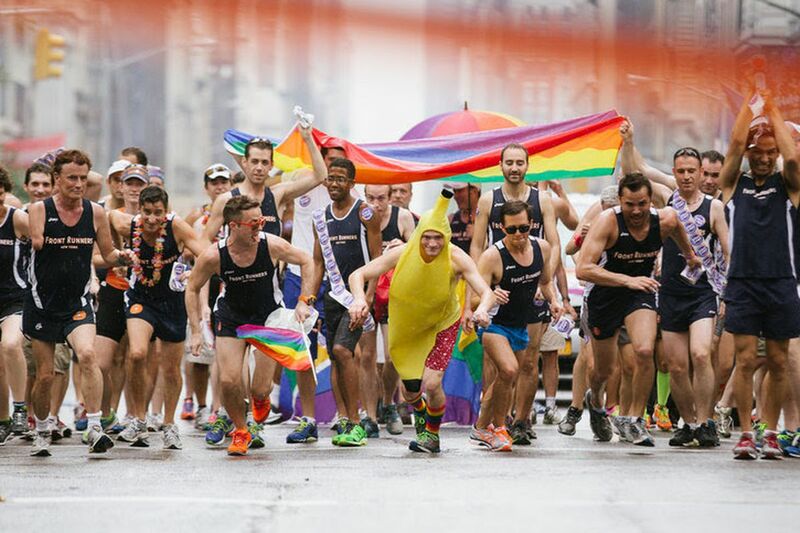 Now in its 36th year, the race represents an alliance between New York Road Runners and Front Runners New York, a competitive and social club for LGBT runners, multisport athletes, and their allies. Heavy precipitation at the start didn’t dampen the spirits of volunteers and runners—as they say, you can't have a rainbow without the rain! Instead, it made way for some speedy finishes. Musa Babo Ido of the West Side Runners took first in the men’s race in 25:43 (official), while New York Athletic Club's Esther Atkins was winner on the women’s side in 28:19 (official). Naturally, Front Runners New York brought a big crowd to Pride Run, but we spotted dozens of other club runners celebrating love and equality in masses. Mile 1:Start on East Drive just south of the 102nd Street Transverse and head north around the top of the park. Climb the race's toughest incline, Harlem Hill, before the 1-mile mark. Mile 2:Continue south on West Drive through a series of three rolling hills between the Transverse and the southwestern edge of the Reservoir. Mile 3:Run downhill for about a half-mile, then turn left onto the 72nd Street Transverse and pass Bethesda Terrace on your left at the three-mile point. Mile 4:Turn left again and run north on East Drive. Pass the Boathouse, then climb Cat Hill to the four-mile mark behind the Metropolitan Museum of Art. Mile 5:Continue north on a flat section past the bronze statue of New York City Marathon co-founder Fred Lebow near East 90th Street, then downhill as you approach the finish at the 102nd Street Transverse.